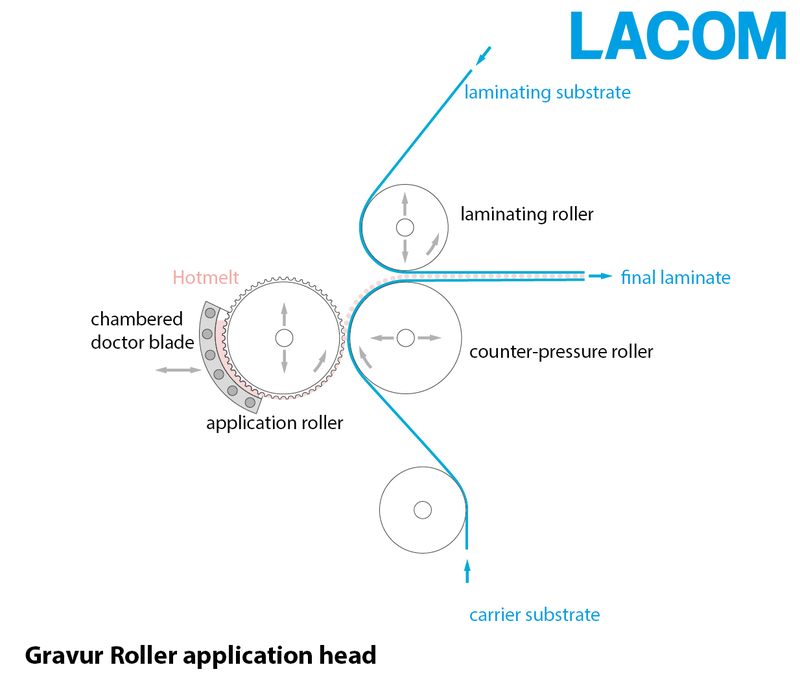 The gravure roller laminating and coating head is used to produce breathable laminates and coatings. The base materials retains its soft hand feel and still achieve a high bonding strength. This coating technology works extremely sparingly and with high efficiency, since very high production speeds are reached.